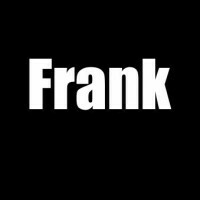 Come and enjoy Frank’s romantic and moving love poem! Such a romantic, Frank!!! I love it, I hate to ride in that boat and be lonely! Ha! Wonderfully done! Bravo! I am sharing this blog post with Frank Solari’s permission. I recently lost my oldest, dearest and closet friend. This poem touched my hear, I read it with tears in my eyes, recalling the times both good and bad that we shared. Lynn had known me far longer than anyone else, even my husband. Beautiful, heart warming and very relatable!! This was a wonderfully written piece! Frank, after the loss of my oldest, dearest and closest friend recently – this poem touched my heart. With your permission, I would like to share it on my blog. I’d never forget this piece too. Having trouble with the “like” button. Anyway, I am not being facetious when I say, this poem would work well as a card. I can easily picture it. It is only with our soulmates we keep on going in the odds, rest are only in the memories and occasionally appears in our words rekindling the best moments that happened in the past; I believe. Loved your words. 😢! This one touches me as this is exactly how I’m feeling now. Wonderful. So simple and yet heartfelt. I need more than a like button for this piece. It is beautiful! Thank you for sharing it.